We have formed a pulpit committee and are seeking out the Lord's will for our next pastor. Please pray with us as we desire unity and wisdom from the Lord in this search. James Schneider grew up in rural North Carolina attending Oak Level Baptist Church in Stokesdale. There, Pastor Jerry Walker faithfully preached the Bible. Not long after his salvation experience, the Lord called James to be a gospel preacher. He graduated in 2009 from the Crown College of the Bible and moved back to North Carolina to teach in a Christian school. On June 18th, 2011, James married his bride, Faith, and moved north to help in the ministry of Faith Baptist Church in Kokomo, Indiana. He served with Faith in the youth ministry for three and a half years, and in the spring of 2014 God began guiding in a different direction. After much prayer, James led his family to Peoria, Illinois where he happily accepted the opportunity to be part of the ministry at Crossroads. Bella Grace was born on May 14th, 2013, and Matthew James was born on February 15th, 2016. Milo Andrew was born on September 8th, 2017. Pastor James Schneider became the Assistant Pastor of Crossroads on November 9th of 2014 under the leadership of Pastor Justyn Smith. He was faithful and loyal as the assistant, and aided the church as an interim pastor. His last service was a Interim was Sunday, February 17th, 2019. Aside from assisting the Pastor and ministering at Crossroads, Pastor James owned and operated Knockerball Peoria. Please pray for Pastor James and his family as they seek the Lord's will for the next step in their lives. Justyn Smith grew up attending Crossroads from the ages 12-18 - 1997 to 2003. After Bible college, he served under Pastor Lee Taylor of the Princeville Baptist Church in Princeville, IL. It was there that he was led into evangelism in June of 2008. In January of 2012, he was voted in as the Pastor of Crossroads Baptist Church in Peoria, IL. After completing his traveling revival and evangelism schedule, he assumed the role of Lead Pastor on September 2nd, 2012. 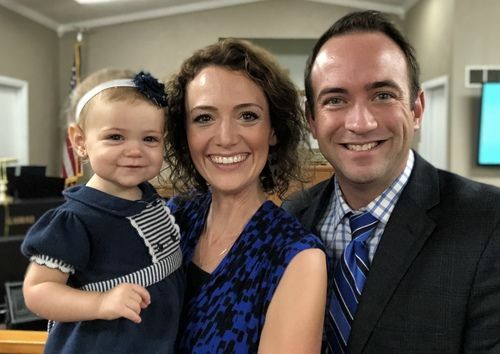 After serving faithfully for over 6 years, the Lord led Pastor Smith and his family back into the itinerant ministry of revival and evangelism. His last service as Pastor was Sunday, November 25th, 2018. 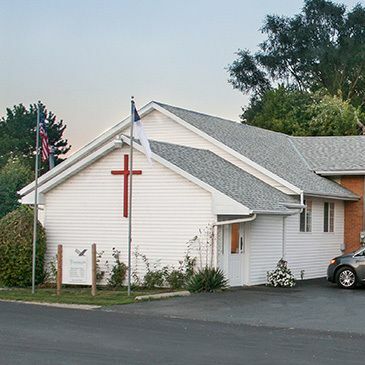 During Pastor Smith's years of ministry the church began to out grow their building. Steps to "make room for more seating" began. Before Pastor Smith was led back into evangelism, the Lord allowed the church to remove the two back sanctuary offices and hold a couple other renovations to suit the situation. Pastor Smith left the pastorate teed-up for the success of the next man of God. Please pray for Pastor Smith, his Family as they serve the Lord in this way. James Clark was an Iron Worker who was saved through the ministry of Pastor Virgil Graham - Calvary Baptist Church, Tremont, IL. After receiving the call to preach, he pastored in a couple locations including Toulon and Chillicothe. Pastor Clark led the North Chillicothe Baptist Church for many years until a fire destroyed their building. 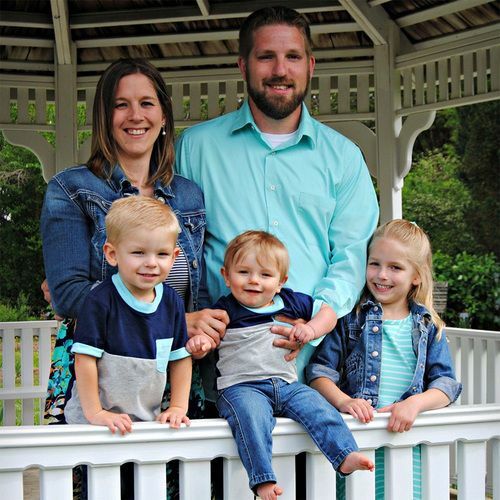 After praying and seeking the Lord, the Lord led Pastor Clark and North Chillicothe Baptist Church to merge with North Memorial Baptist Church (current location) in Peoria, IL (pretty much Mossville) in 1997. From our understanding of the situation, North Memorial had the building, a few people and no Pastor, and North Chillicothe had many people, a Pastor, and no building. The merge was an answer to prayer across the board. They then renamed the church Crossroads in the unity of the merge. Pastor Clark faithfully led and fed Crossroads Baptist Church from 1997 through August of 2012. Crossroads blessed Pastor Clark in retirement by gifting to him the home in Chillicothe that was the parsonage they were currently living in. Pastor Clark left the pastorate teed-up for the success of the next man of God. May God continue to bless the Clark Family in their retirement years! We are an Independent King James Bible Baptist Church. Salvation is by the grace of God through faith in the Lord Jesus Christ. We believe in doing all for the glory of God.